What Are the Results of Surgical Treatment of Hip Dysplasia With Concomitant Cam Deformity? Periacetabular osteotomy (PAO) is a reliable procedure to correct the deficient acetabular coverage in hips with developmental dysplasia. It is unclear how the presence of additional femoral cam-type deformity might influence the clinical and radiographic treatment results of PAO. 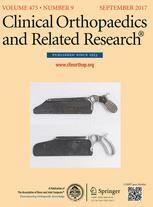 (1) Are there differences in clinical scores (WOMAC, EQ-5D) and examination findings (impingement sign) or radiographic measures of acetabular orientation and head sphericity after PAO for isolated acetabular dysplasia when compared with the combined pathology of dysplasia and additional femoral cam deformity? (2) Are these clinical and radiographic findings after combined surgical therapy for additional cam deformity influenced by different pathology-adjusted surgical techniques? From July 2005 to December 2010, 86 patients (106 hips) underwent PAO for hip dysplasia. Surgical and outcome data were prospectively collected and retrospectively reviewed in a comparative observational study. Indications for surgery were a lateral center-edge angle less than 25° and hip pain for at least 6 months. 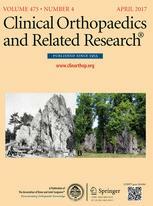 The contraindications for surgery were advanced radiographic osteoarthritis (Kellgren-Lawrence Grade 3), incongruency of joint space, and patient age > 50 years. 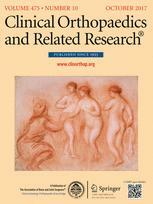 Depending on preoperative hip ROM, impingement test, and presence of a radiographically visible cam deformity, treatment allocation was performed: Group I: isolated PAO in patients without symptomatic asphericity, Group IIa: PAO with subsequent osteochondroplasty through arthrotomy for patients with symptomatic cam deformity and no labrochondral pathology, and Group IIb: arthroscopically assisted osteochondroplasty and additional labrochondral repair with subsequent PAO when patients had labrochondral lesions in addition to a symptomatic cam deformity. Clinical outcome (impingement test, EQ-5D, WOMAC) as well as radiographic parameters (lateral center-edge angle, crossover sign, alpha angle, osteoarthritis grade) were obtained after a mean followup of 63 ± 18 months (range, 31–102 months) and compared with the baseline data. Eleven patients (13%) were lost to followup. With the numbers available, our study had 80% power to detect a difference between Groups I and II of 10 points on the WOMAC scores. There was no difference in the increase of WOMAC scores in patients with PAO alone (Group I; preoperative score 74 ± 17 versus postoperative 91 ± 15, p = 0.033) when compared with PAO and concurrent osteochondroplasty (Groups II A and B preoperative 73 ± 19 versus postoperative 90 ± 13 p < 0.001). The mean postoperative alpha angles in Group II (38° ± 6°) improved when compared with preoperative values (56° ± 15°; p < 0.001) and were even lower than native offset alpha angles in Group I (47° ± 11°). 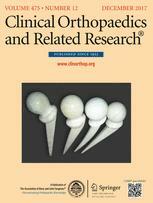 Clinical scores as well as postoperative radiographic parameters were not different between patients with conventional osteochondroplasty alone (Group IIA) and patients with arthroscopically assisted cam resection and intraarticular labrochondral repair (Group IIB). With the numbers available, we detected no differences in outcome scores and radiographic results between patients who had been treated with PAO alone and patients who underwent combined PAO and offset correction for cam deformity. 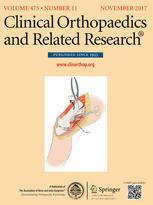 Although arthroscopically assisted treatment of advanced labrochondral lesions together with osteochondroplasty is possible during PAO and the results were not different in this small study when compared with patients with PAO and osteochondroplasty alone, the type and extent of damage that would indicate additional cartilage surgery over cam resection alone remain unclear.